Nic Grave and Craig Sheahen (pictured) have taking out the Buckby Subaru Challenge in Tasmania for the second year in a row! 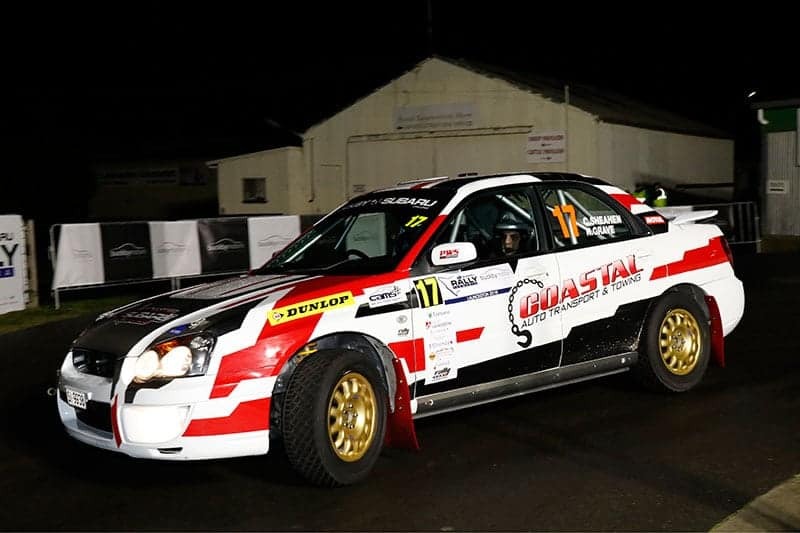 Grave proved he was the class act of the field, conquering in a challenging season over second placed Ben Newman and co-drivers Steve Glenney/Adam Kudra/Travis Dean, and third placed Crichton Lewis/Anthony Carr. In a season that was expanded for 2018 to include five rounds, Grave and co-driver Sheahen proved consistency and accumulation of points is the key to winning a championship, taking points away from every heat. With the Tasmanian Rally Championship reinvigorated, largely due to the interest generated by the Buckby Subaru Challenge, it’s hoped numbers continue to grow for 2019 with some new builds underway and a number of new faces looking to join this popular series. The Buckby Subaru Challenge is a one-make series based on the 2001-2005 Subaru Impreza RS 2.5i. It is a perfect entry level vehicle for those considering the world of gravel rallying. The rules enable safe, cost-effective racing on an even platform. A ready-to-rally car can be purchased for under $20,000, with parts easily accessible and affordable.